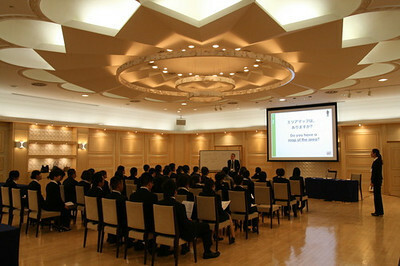 English OK delivered customer service English programs to hospitality businesses and organizations throughout Japan. The logo represented a stamp of approval and shops around Tokyo displayed the sticker in their windows (next to the Visa and MasterCard stickers) to signal their willingness to provide service to English speakers. English OK! 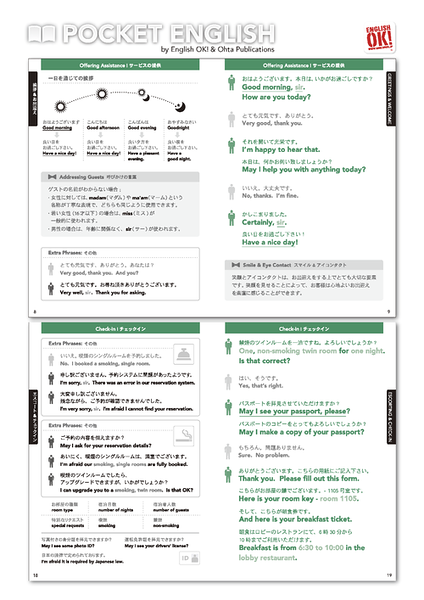 developed its own course materials and teaching methods that incorporated relevant customer service dialogues, direct translation hooks, rote repetition, and extensive role-playing. Programs were delivered to hotels, restaurants, retail shops, beauty salons, tourism associations, and many other types of businesses throughout Japan. 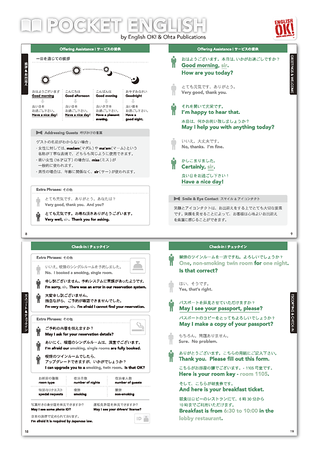 The Pocket English series (hotel & restaurant books) featured bilingual customer service dialogues and cross cultural communication tips. The book was sold in bookstores throughout Japan and was endorsed by the general managers of The Peninsula Hotel Tokyo, The Ritz-Carlton Tokyo, and the head of the Japan Hotel Association. The book is on its second print run. 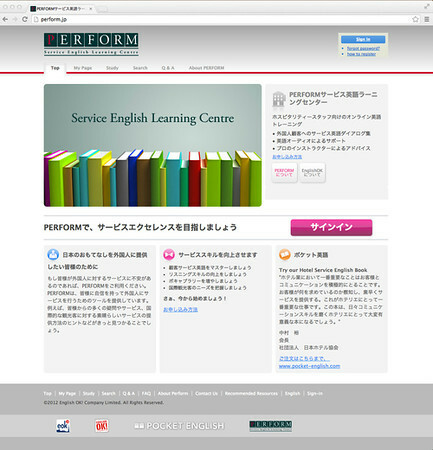 English OK’s e-learning platform developed in 2009 for international hotel properties. The e-learning platform was a white-label system that hosted multilingual dialogues supported by audio and video lessons, quizzes and tests.